Forget about the Battle of Los Angeles (1942), Roswell (1947), Socorro (1964), Rendlesham Forest (1980), JAL Flight 1628 over Alaska (1986), Phoenix Lights (1997). 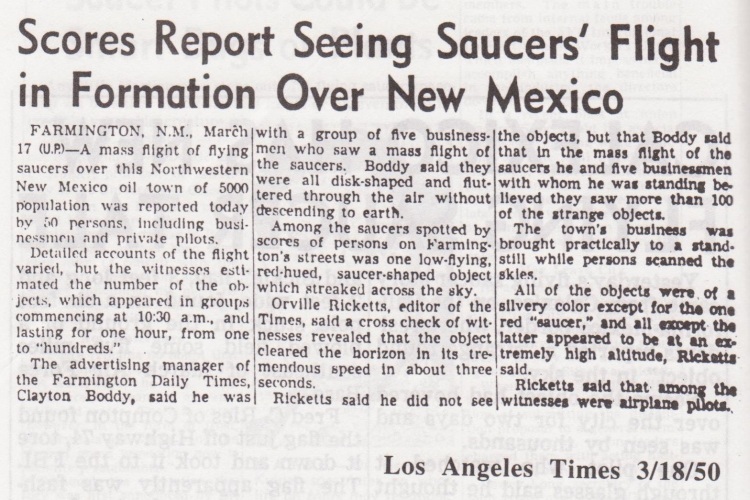 As far as I am concerned, the only case that is still preventing me from becoming a total UFO skeptic is the Farmington, New Mexico case of 1950. THE FARMINGTON CASE, HOWEVER, DOES NOT CONCLUSIVELE PROVE THAT WE HAVE BEEN (OR, ARE BEING) VISITED BY PHYSICAL EXTRATERRESTRIALS IN PHYSICAL EXTRATERRESTRIAL SPACECRAFT. Nevertheless, that was what I call a sighting, indeed!! 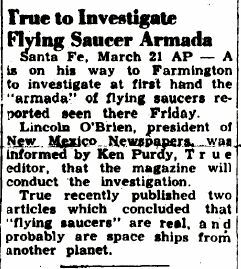 Yes, the most spectacular mass appearance of UFOs in U.S. history took place over the skies of Farmington, New Mexico in March of 1950. It happened for three consecutive days. The so-called 1997 Phoenix sightings pale in comparison to what happened in the town, not too far from the Four Corners area. Anywhere from around 200 to 400 disc-shaped, metallic, silver-colored objects were seen in the sky, performing all kinds of maneuvers, making all kinds of formations and simply giving incredible flight show in the sky. It all began at around noon-time on March 15, 1950 and lasted for about two hours. 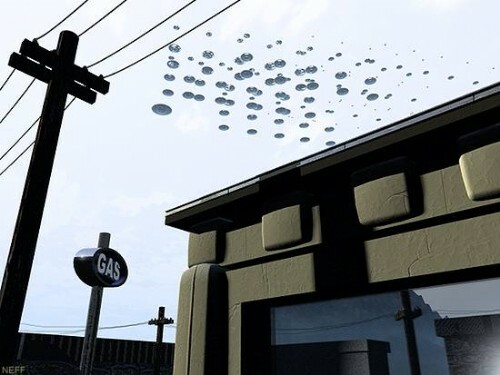 For three consecutive days, hundreds of astonished citizens of this town witnessed the most spectacular daytime mass UFO sightings ever recorded. And it all took place during broad daylight, usually from around 11:30 a.m., lasting for about two hours. 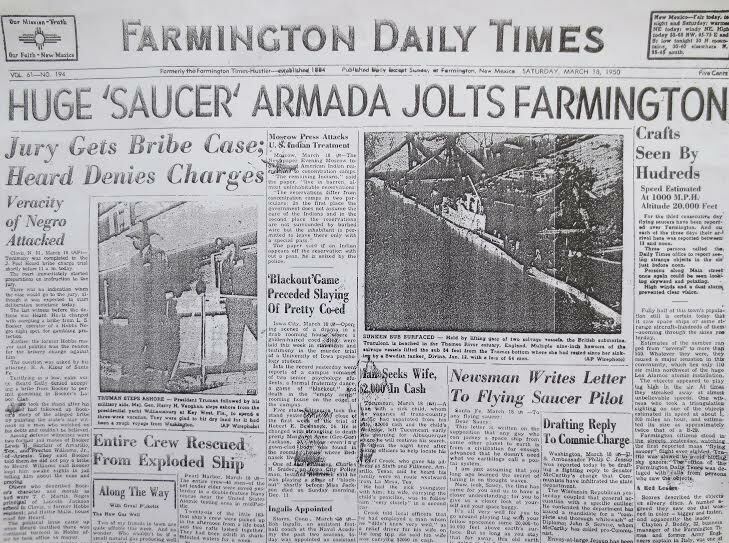 The front page headline of Farmington Daily Times of March 18, documented the amazing sightings: HUGE SAUCER ARMADA JOLTS FARMINGTON. For some reason or other, this incident seemed to have been hushed up quickly. A few years ago I was fortunate enough to visit Farmington and was able to interview an elderly gentleman who was one of hundreds of witnesses to this spectacular event. (I visited the Farmington Senior Center to find some witnesses. Their number is rapidly diminishing). He confirmed to me practically all the aspects of that incident as was reported in Farming Daily Times news article. According to some townsfolk, government agents came to town quickly after the incident, discouraging people to talk about the incident for national security reasons (the Cold War had gripped the psyche of the people by 1950 and the people were quite receptive and cooperative with whatever the government had told them) and may even have bought up all the editions of the newspapers of March 18, 1950. “Fully half of this town’s population still is certain today that it saw space ships or some strange aircraft – hundreds of them – zooming through the skies yesterday. Estimates of the number ranged from “several” to more than 500. Whatever they were, they caused a major sensation in this community, which lies only 110 air miles northwest of the huge Los Alamos atomic installation. The objects appeared to play tag high in the air. At times they streaked away at almost unbelievable speeds. 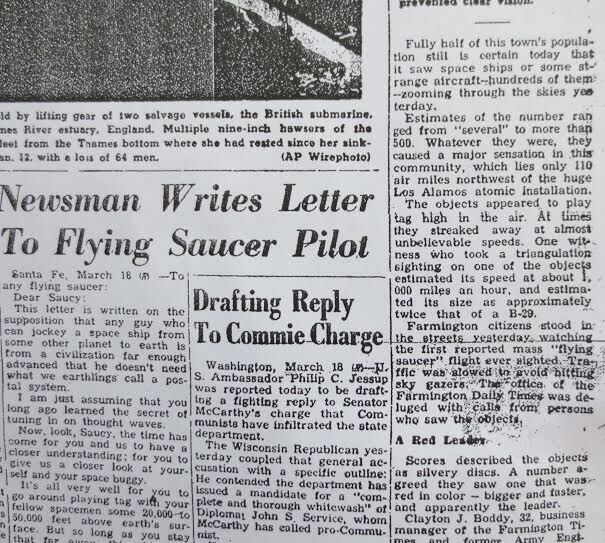 One witness who took a triangulation sighting on one of the objects estimated its speed at about 1,000 miles per hour, and estimated its size as approximately twice that of a B-29. Farmington citizens stood in the streets yesterday, watching the first reported mass “flying saucer” flight ever sighted. Traffic was slowed to avoid hitting sky gazers. Above quote from the Farmington Daily Times, March 18, 1950. 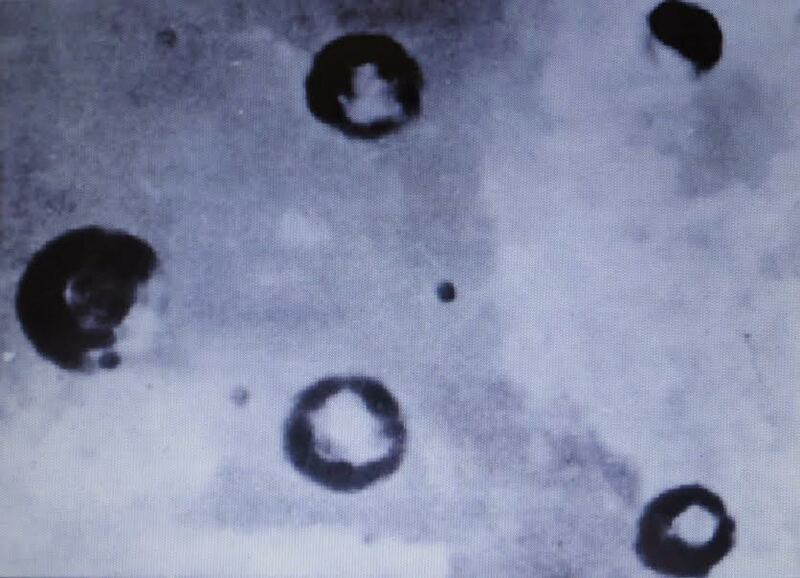 ← Dulce Base, New Mexico…..Fact?, Fiction? or Disinformation?